Suzanne Hathway manages our very busy rental department. Suzanne ensures all of our landlords receive the best possible service and, being an experienced landlord, fully appreciates what is expected of a Letting and Estate Agent. Suzanne knows how important it is to get things right first time for our clients and this is always her and the rental team’s aim. Suzanne ensures all of the rents are paid to our landlords on the day they are received, even on weekends and over holiday periods, and that all maintenance and other issues are dealt with swiftly and effectively on behalf of our clients. Since joining the property industry, Rouri has established himself as a key member of staff and has become the first member of the Hathways team to gain the nationally recognised Level 3 Technical Award in Residential Sales which is awarded through the NFOPP. He has also been elected as a qualified member of the National Association of Estate Agents. Having adapted his experienced background in a challenging customer-care environment; Rouri is fully aware of the fundamentals of good estate agency, and has relished the challenge of operating in the competitive, local, property market. A dedicated and hardworking member of the team Rouri, has progressed to becoming a Senior Sales Negotiator and Valuer within the company. His philosophy and work ethic naturally reflects the values of the business, and he prides himself on customer service and sales proactivity. Karen Lewis CeMAP (Certificate of Mortgage Advice and Practice) carries out and co-ordinates many of our branch activities. Karen holds the Certificate of Mortgage Advice and Practice qualification which will give you the peace of mind that your requirements are being dealt with by a qualified person. Karen has previously been a key member of a local mortgage brokerage and benefits from a great deal of property and mortgage related experience having dealt with many different kinds of property transactions over the years. Karen also has retail experience and has held various other customer service positions which means she is fully aware of how important excellent customer service is, and this is what we aim to provide to all of our customers at all times. 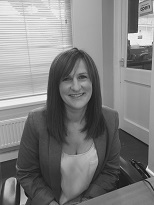 Lydia Meaney is a property advisor predominantly within the rental department. Lydia arranges and carries out many of the rental viewings and then manages the applications from initial viewing through to the day our tenants move into their properties. Lydia is looking to build a long term career within the company and is well on her way to achieving this as one of our most experienced Property Advisors. Emily loves meeting and speaking with new clients and is always looking to provide the best service possible. Emily is hard working and very conscientious and does whatever is required to get the job done. 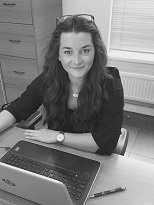 You will most likely to meet or speak with Emily if you are enquiring about or viewing one of our sales properties as Emily is part of our busy sales team. Tracey Heath (MAAT) is our Financial Controller and ensures the day to day running of the accounts department is fully efficient. 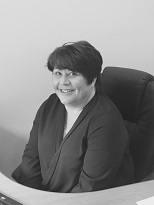 Tracey has many years’ experience in the accountancy and bookkeeping industry and is fully qualified to ensure the company’s and clients’ finances are looked after and managed to ensure total satisfaction. Kyle has many years’ experience in advising clients on their mortgage and associated insurance needs, previously with a large corporate organisation. Kyle has won many awards for his sales and mortgage performance whilst working within the corporate environment but feels Hathways provides him with the freedom to conduct business the way it should be that is with the client’s needs as the priority not simply targets that are set by a remote head office. If you have any mortgage or insurance queries Kyle would love to hear from you. Julie Edwards has many years residential lettings experience as she worked for a local Lettings Agent that we acquired as part of our continued growth. Julie transferred over to us to help the acquisition run smoothly and quickly became a valued member of our team. Julie is friendly, hardworking and conscientious and aims to deal with all enquiries as quickly and efficiently as possible. Gareth Elliott. Gareth joined us after a long successful career as a Local Authority Housing Officer. Gareth uses this invaluable experience to carry out our rental property inspections. Gareth sole job role is to ensure all inspections are carried out regularly to help us protect our landlords’ investments. Any maintenance issues are reported back immediately to limit any further damage to our properties. Gareth has many years’ experience in dealing with tenants and all of the related issues that can arise during a tenancy. By having a person whose sole job role is to look after the condition of our landlords properties we feel we are one step ahead of our competitors, especially with Gareth’s wealth of experience in this sector. Our landlords can be rest assured that their investment is in good hands with us.